Sip mango margaritas at the newly renovated palapa restaurant and bar while planning your next day's activities. 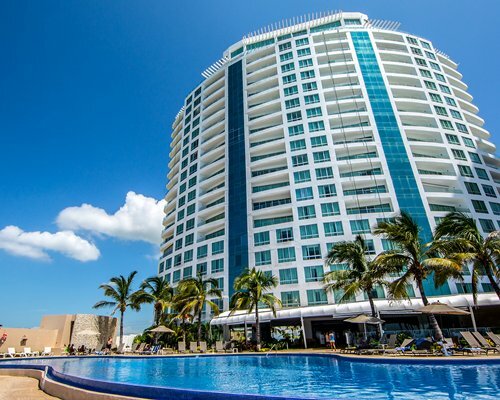 Torres Mazatlan offers a wealth of onsite amenities, including a beach, swimming pool with kids pool and jacuzzi, tennis, and a full activities program. Whether you are looking for deep sea fishing, disco, exceptional dining, shopping or simply sun filled days, Mazatlan has so much to offer that you are sure to make memories to cherish. 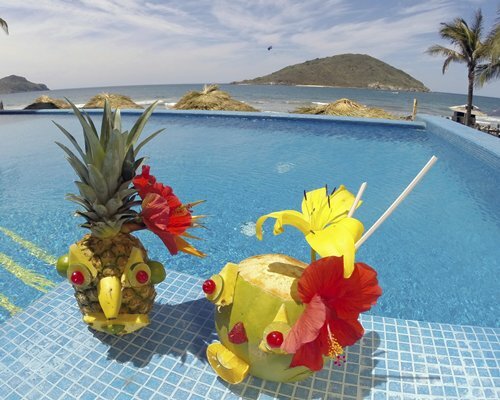 The only thing to remember in Mazatlan is…..Just Have Fun! All units are equipped with a full kitchen, TV/DVD, limited Wi-Fi, hair dryer, iron and ironing board, safe (fee), balcony or patio.The units are equipped with seasonal air conditioning and ceiling fans. 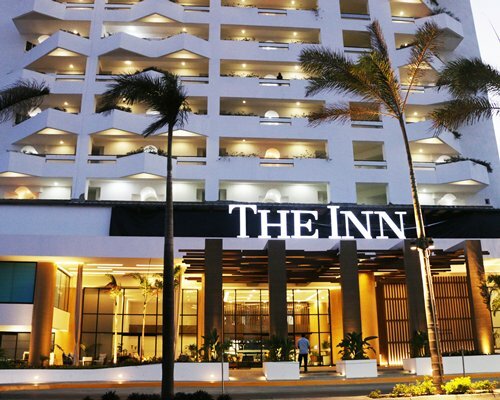 Mazatlan International Airport is just 25 miles away. From the airport, take Coastal Highway past the hotel zone. The resort is 1/2 mile north of the Marina Development . Ground transportation to and from resort can be reserved and prepaid by calling VI at 1-800- 755-3175. Book in advance. Mandatory Tourist Tax is 15.00 U.S. dollars. Cash or Credit is accepted. "Housekeeping fee for all RCI points reservations: There may be a 55.00 to 65.00 U.S. dollars for all units, per stay. Cash or Credit is accepted."